RAP, Online Site for Rangeland Analysis Platform (RAP). There's a new online tool that provides a big picture view of vegetation change over the last 35 years in the West. The University of Montana, the USDA's National Resources Conservation Service and the Bureau of Land Management joined forces to develop Rangeland Analysis Platform (RAP). Matthew Jones, a University of Montana professor, helped develop the application. He said recent technology allowed him and his colleagues to visualize and estimate vegetation cover by putting all the data in one place. Jones said it's important to understand how vegetation responds to human events like irrigation and grazing. "It starts with the fact that plants really provide the foundation for sustainable wildlife habitat, profitable livestock production, clean water, and healthy soils. It's really that foundational principle," said Jones. Jones said the app provides a new perspective for monitoring rangeland vegetation. "It makes it easy to develop new strategies that can improve rangeland productivity and evaluate our current or past management practices, which is critical," said Jones. "And all these things are key for keeping these lands profitable and productive for future generations." The app is free and available at rangelands.app. You might think of the Grand Canyon as one of the wildest places in the U.S. But the fact is, the Colorado River that runs through that canyon is not wild at all. Here’s a quote from Cadillac Desert, a documentary on water in the West. "This river, the Colorado, can be turned on and turned off down to the last drop on orders from the Interior Secretary of the United States," a voiceover tells us. "This was the first river on earth to come under complete human control." 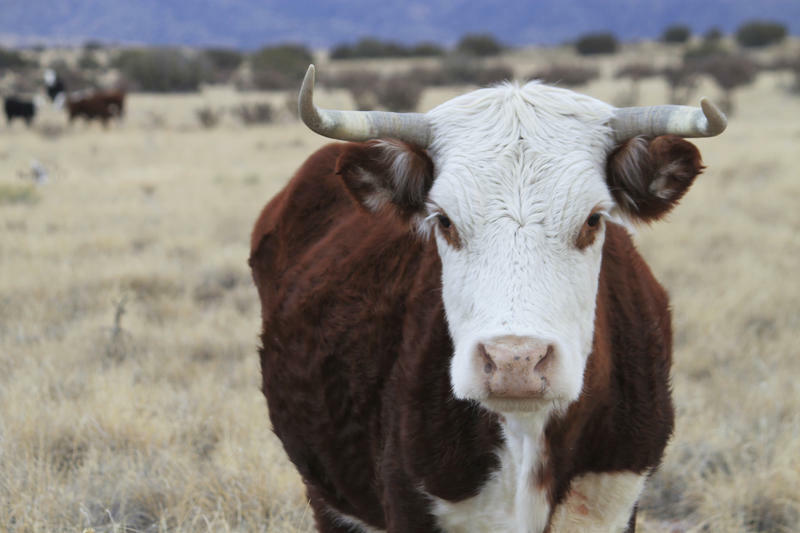 The Trump administration is reducing grazing fees on public lands again. The new rate is the lowest the federal law allows. This is about two very different visions of how we should use land in the American West. On the Great Plains of Montana, conservationists and tribes want to rewind the clock and return wild bison to the shortgrass prairie. But cowboys and ranchers say if that happens, their way of life – their very culture – will disappear.